The pace at which technological innovation occurs is amazing. The last 20 years have been jam-packed with paradigm-shifting technological advances that have altered forever the way we create, manage, and deliver information. The personal computer, the World Wide Web, desktop publishing, touch-screen mobile phones, interactive television, social networks, and wireless connectivity have transformed not only the way consumers interact with content, but these advances have also altered the way professional communicators work. Nowhere are these changes more evident that in the world of technical communication. Technical writers and editors have been forced—like it or not—to move to a more formal method of creating content, often for a global audience. Gone are the days of the free-for-all approach to creating technical documentation products one-at-a-time using desktop publishing tools. While this technique was the best method possible in the 80s and 90s, today, those who create user manuals, online help systems, and other types of documentation are increasingly expected to take a more formal approach to content creation, utilizing content standards like the Darwin Information Typing Architecture (DITA) – the subject of DITA 101: Fundamentals of DITA for Authors and Managers, a new book from the folks at The Rockley Group. 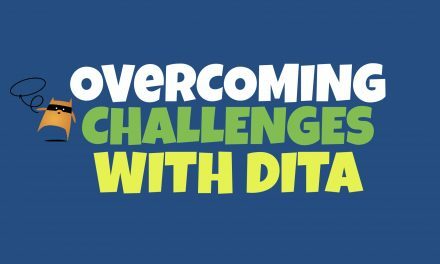 The advent of the Extensible Markup Language (XML) and rapid adoption of topic-based content standards like DITA have forced us to separate content from format and end our addiction to desktop publishing. Today, technical communicators must learn to write modular, topic-based, context-independent content using a new breed of authoring tools. It’s not an easy change for many. The resources available are often poorly conceived, confusing, jargon-laden collections of information that don’t make learning new skills and techniques easy. In fact, they make things much harder than they need be. 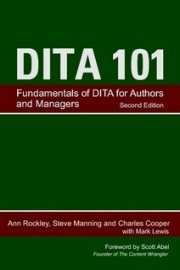 That’s why DITA 101: Fundamentals of DITA for Authors and Managers ($9.95 immediate download; $24.95 paperback) by Ann Rockley, Steve Manning and Charles Cooper is such an important work. Simple, easy-to-understand, and loaded with practical examples that resonate with technical communicators. 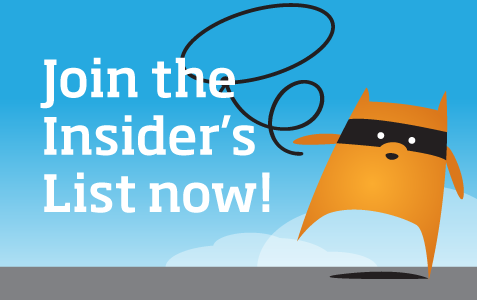 Rockley and team have consolidated years of experience helping folks just like you make the move from unstructured content creation to DITA. This work is the result of their efforts and a valuable contribution to the technical communication literature. Go ahead, take a peek. It’s not as scary as you might think.